As recently reported by the National Post – Simlilar to Australia’s stance in the matter, Canada has closed its doors to people from the West African countries battling Ebola. “We have instituted a pause, but there is room for discretion if we can be assured that someone is not infected with Ebola, doing anything we can to keep Ebola from coming to Canada. Governments have the duty to take actions they deem appropriate to protect the health, safety and security of their citizens. 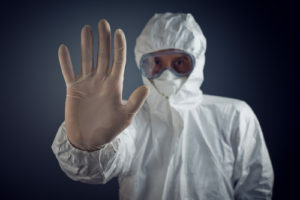 Canada, upon reviewing the evidence, has come to the conclusion that visa restrictions of this kind are appropriate to achieve that goal in respect of the Ebola outbreak in Western Africa.” Kevin Menard stated in a recent email. The federal government is suspending visas for residents and nationals of countries with “widespread and persistent-intense transmission” of Ebola virus disease. As well, work on permanent residence applications for people from the affected countries is also being suspended. Only three countries meet the definition of widespread and persistent Ebola transmission: Guinea, Sierra Leone and Liberia. As well, Citizenship and Immigration Minister Chris Alexander retains the discretion to grant entry on a case-by-case basis in exceptional circumstances “where travel is essential and in Canada’s interest. The precautionary measures announced today build on actions we have taken to protect the health and safety of Canadians here at home,” said Alexander. Canada has not cancelled visas that have been issued but not yet used. But the country is reaching out to people who are in this situation to make sure they understand they will be required to undergo health screening when they arrive in Canada. Do You Require Immigration Help? If you have immigration questions, VisaPlace is here to guide you through the immigration process. We work with qualified immigration lawyers who can help you with your immigration matters. Contact us to book a consultation.